Knopf The Hidden Reality: Parallel Universes and the Deep Laws of the Cosmos by Brian Greene | Free eBooks Download - EBOOKEE! Posted on 2012-09-19, by sharebookfree. From the best-selling author of The Elegant Universe and The Fabric of the Cosmos comes his most expansive and accessible book to dateâ€”a book that takes on the grandest question: Is ours the only universe? There was a time when â€œuniverseâ€ meant all there is. Everything. Yet, in recent years discoveries in physics and cosmology have led a number of scientists to conclude that our universe may be one among many. With crystal-clear prose and inspired use of analogy, Brian Greene shows how a range of different â€œmultiverseâ€ proposals emerges from theories developed to explain the most refined observations of both subatomic particles and the dark depths of space: a multiverse in which you have an infinite number of doppelgÃ¤ngers, each reading this sentence in a distant universe; a multiverse comprising a vast ocean of bubble universes, of which ours is but one; a multiverse that endlessly cycles through time, or one that might be hovering millimeters away yet remains invisible; another in which every possibility allowed by quantum physics is brought to life. Or, perhaps strangest of all, a multiverse made purely of math. Greene, one of our foremost physicists and science writers, takes us on a captivating exploration of these parallel worlds and reveals how much of realityâ€™s true nature may be deeply hidden within them. And, with his unrivaled ability to make the most challenging of material accessible and entertaining, Greene tackles the core question: How can fundamental science progress if great swaths of reality lie beyond our reach? 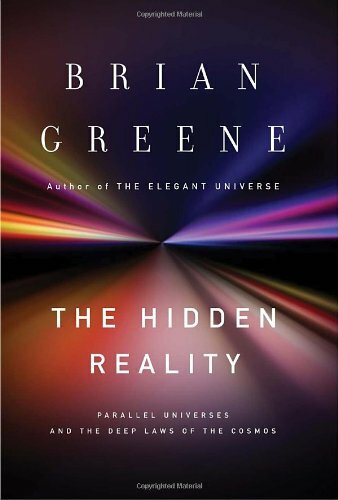 Sparked by Greeneâ€™s trademark wit and precision, The Hidden Reality is at once a far-reaching survey of cutting-edge physics and a remarkable journey to the very edge of realityâ€”a journey grounded firmly in science and limited only by our imagination. No comments for "The Hidden Reality: Parallel Universes and the Deep Laws of the Cosmos".